Time is valuable, and we take extra care to minimize your wait by avoiding overbooking. Occasionally, there is a baby being born who chooses to ignore Dr. Field's appointment hours, and we appreciate your patience! Your appointment time in the office can be minimized if you enter your Patient Information through the Patient Portal. This should be completed at least two days prior to your scheduled appointment. If you have not used the patient portal, we highly recommend that you take advantage of this service. 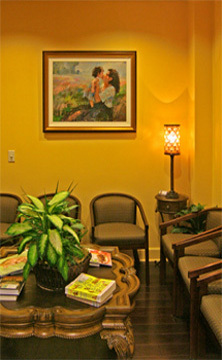 It is a secure and private link to your medical information at Dr. Field's Office. If you prefer not to provide this information in advance, you may want to come in early to allow us time to process your information.